19.12.74 at the Red House in Britten's music room. These documents were commissioned by the kind receipt of a donation to further the work of this web-site which is otherwise financially unsupported. We are grateful to Edward Morgan and the Britten-Pears Foundation for the provision of photographs. Brittens reputation is international. His music has travelled and continues to travel. Even more, perhaps, than Elgar his music has gained a quicker and more enduring acceptance in many countries. This contrasts with the other great musical names of the British Isles: Elgar, Walton and Vaughan Williams. Of course the music of these composers does have a great following in many countries. However Brittens music seems to speak an internationally acceptable language and to touch more easily on universal issues with which people across the world can identify. At the same time, his name is a homophone for his country of origin. His country of origin is easy to remember; one recalls the other. This factor may also have contributed to the diaspora of his music: Britten from Britain; Great Britten from Great Britain. Banal or not, this factor played its part alongside the intrinsic qualities and values of the music. making great pain. He was also marked about because of his class origin. A genius from the middle classes had other battles to fight. He was not a churchgoer and only once took communion and this, according to Peter Pears, was to avoid offending a friend: he loathed rows and disagreements. His early and sustained brilliance as both a composer and an executant left him the target of those incredulous that both strengths could be found in the same person. The acclaim he enjoyed also bred an uncompromising commitment to his own judgement which may have been viewed as arrogance. His homosexuality remained an alienating factor for those who knew about it during his lifetime. For much of his life the practice of his sexuality was a criminal offence. This necessitated a certain secretiveness although his preferences were well enough known in the musical world. His departure to the U.S.A. in 1939 not to return until 1942 also left the sense of a composer taking refuge from his homeland when it was under real mortal threat. His extraordinary success also bred envy. 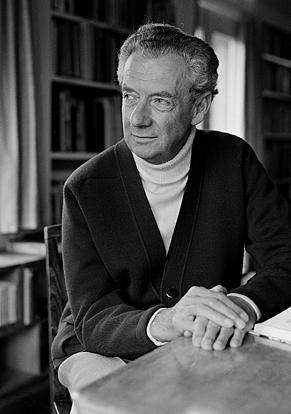 Brittens success gave him a level of exposure to the media. Publication was no problem: as John Ireland quipped If Britten can write it Booseys can Hawke it. His music was, from early on, recorded shortly after it was written or premiered. Decca gave us disc after disc of his music authoritatively interpreted by the composer and performers for whom it was written. The importance of this living archive is not to be underestimated. His music (all of it or at least all of the mature works) is available and is likely to continue to be available in every carrier or medium: issued on mono LPs, then stereo, then audio-cassette (probably even 8-track cartridges! ), videocassette, since 1983 digitally re-mastered on compact disc and very soon, no doubt, on DVD and on whatever media supersede that medium. His publishers were until 1966, Boosey and Hawkes. Booseys published all his pre-1966 recognised works and promoted and continue to promote them with vigour and resource commitment world-wide. The works dating from 1966 onwards were published by Faber Music. Fabers showed and show similar practical and sustained enthusiasm. There seems to be no shortage of sets of orchestral and vocal parts, allowing multiple performances in many countries. All of this was the envy of composers everywhere. Britten strode not just a national stage but a world stage. He rose to recognition at a time when communications could carry music across boundaries. The availability of his recorded and printed music coupled with broadcasting all reinforced his success.